Today, I was reading an article by Jeff John Roberts, Facebook says “Likes” are free speech in Sheriff case. Being a Community Media Manager (at the best marketing company, everrr), this title caught my attention. As a result of social media being such a new communication tool, people are constantly trying to define its borders, and determine how social media crosses paths with our lives off-line. Facebook is throwing their support behind a deputy sheriff who was fired for “liking” a rival’s Facebook Page during an election. Daniel Ray Carter, clicked to “Like” the “Jim Adams for Hampton Sheriff” page in 2009. The sheriff learned of his employee’s “Like” for his opponent and fired Carter after he won re-election. Carter sued, but the judge ruled, “Unlike writing a message on Facebook, the act of clicking a “Like” did not amount to speech worthy of First Amendment protection.” Meaning that the “Like” was not a big enough action to warrant protection for freedom of speech – but it was a big enough issue to be fired over. An inherent contradiction? I think so. What do you think? Do you, like the Sheriff, believe that “Liking” a Facebook Page during an election is grounds for being fired? To me, this appears to be an issue of freedom of expression (“speech” too). Sure, it was unwise for someone to publically throw his or her online “support” behind the opposition, but we must assess based off of the severity of the “transgression” (and it’s arguable that nothing wrong was done in the first place). Does a Facebook “Like” warrant the same disciplinary action as say, a Facebook comment, a blog post, or a tweet? How do we measure the actual online influence of that Facebook “Like”? Does the influence of that action even matter, or is it the simple fact that as a representative of the opposition, Carter’s “Like” was perceived as a direct insult to his employer (a proverbial “jumping ship”?)? As for the justice system, do they not have a right to protect their citizens from prejudice based off of their political beliefs? 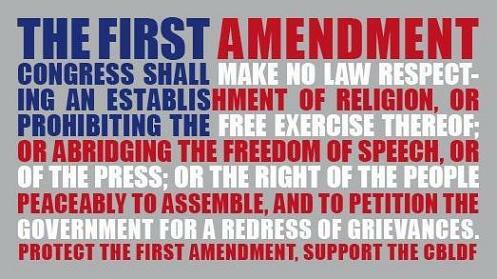 On social media forums, what is considered a protected right under the Constitution? Like awarding punishment based off of the severity of the crime, how do we determine what is and isn’t worthy of this protection? These questions do not have simple answers, but as we continue to use social media in many aspects of our lives, we need to determine how our online use affects our offline world, and our right to the protection of our movements online.